One of the mysteries of the world. 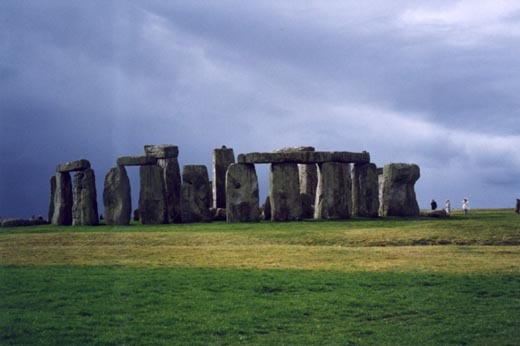 People who visit Stonehenge seem to either get into the mystery of it all or just see 'a pile of rocks'. Needless to say, I got into the mystery. It was a fascinating day that I'd been looking forward to ever since I'd landed at Gatwick. I'd asked people at work about how to get to Stonehenge. One guy said to 'just follow all the Hippies and Druids.' Instead, I took a tour. During my time at Stonehenge, I completely walked around it and took pictures from all angles. As you can see the sky was dark. There was also a strong breeze. It seemed like the perfect day to be visiting a mystery.